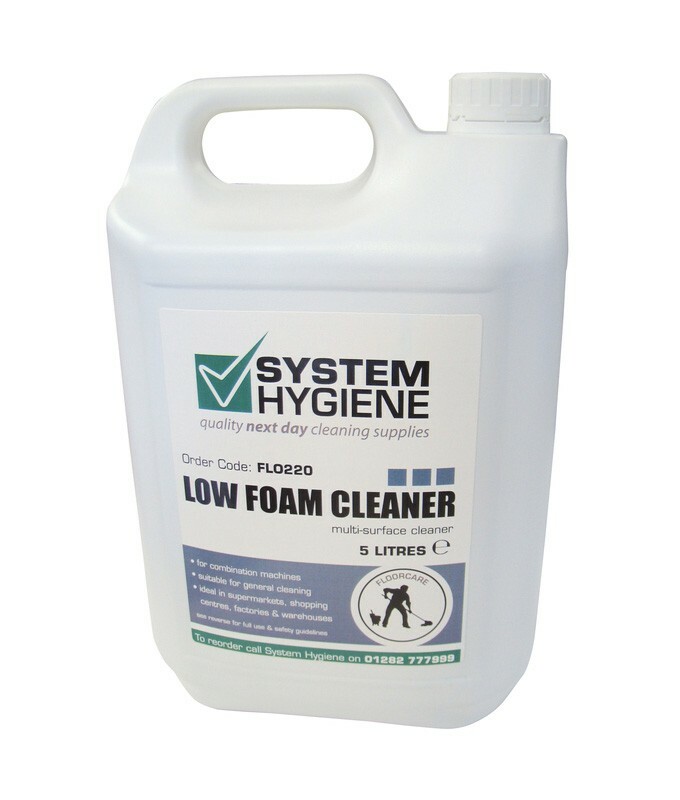 System Hygiene Low Foam Cleaner is specially formulated low foaming multi-surface cleaner, ideal for use in combination scrubber driers and floor machines. For cleaning a variety of floor surfaces including vinyl, rubber, ceramic, terrazzo, marble, sealed wood and cork as well as all polished floors. The product may also be used for the general mopping of lightly soiled floors. Unperfumed, suitable for use wherever food or drink is prepared or served. Ideal for use in sports halls, supermarkets, shopping centres and airports. 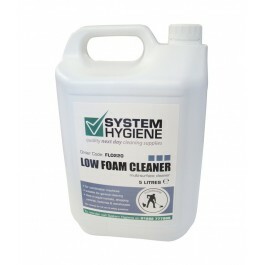 For Heavy Soiling: Dilute 1 to 20 parts with water (250ml per 5ltr) and add to solution tank of floor cleaning machine. For Light Soiling and General Cleaning: Dilute 1 to 150 parts with water (35ml per 5ltr) and add to solution tank of floor cleaning machine or bucket if being used for general mopping. Always use in conjunction with machine manufacturer's instructions.